BEIJING – The Standing Committee of the National People’s Congress (NPC), China’s top legislature, will urge the State Council to enact regulations on halal food in a timely fashion, according to a report adopted on Friday. The report, presenting results of deliberations by the Ethnic Affairs Committee of the NPC on the “bill on enacting halal food administration law,” was adopted at the concluding meeting of the bi-monthly session of the NPC Standing Committee. The bill was submitted by 31 delegates to the Fifth Session of the 11th NPC held in March. It stated that irregularities involving halal food have touched off conflicts from time to time, and the absence of over-arching laws has hampered law enforcement in this sector, suggesting speeding up related legislation. The Ethnic Affairs Committee endorsed the relevance of the bill, saying China holds ten ethnic minority groups consuming halal food, amounting to a population of over 20 million. It is crucial to regulate the halal food business, and effectively respect the dietary habits of these ethnic groups, so as to safeguard their legitimate rights and interests and to bolster ethnic solidarity and social stability, according to the committee. Therefore, it suggested the NPC Standing Committee urge the State Council, or cabinet, to enact regulations on halal food, and that law-making should be considered after drawing on the experiences of implementing the State Council regulations. The report also recognized that the central government had invested a lot of efforts in drafting halal food regulations, saying people from the ethnic groups concerned place high expectation on the regulations. 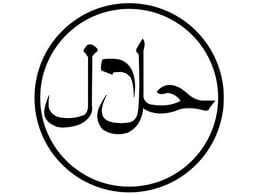 “Halal” refers to foodstuffs which are permissible to eat under Islamic law.